Our Lady of Confidence Day School celebrated its school community with “Confidence Day” on Thursday, Nov. 8. The mission of the school, located at St. David Parish in Willow Grove, is to facilitate the complete development of students with intellectual disabilities to their fullest potential: spiritually, intellectually, vocationally, physically and emotionally. Guests included family members, people from the community, potential students and organizations that work with students outside of school. The day began with an explanation of the school’s programs followed by a question-and-answer period. Student-led tours took groups throughout the school and visited each classroom. “Confidence Day” concluded with a prayer service. The school’s program is rooted in Gospel love and embraces the value of life. Our Lady of Confidence Day School is committed to guiding students on the path to independence so they may become vital contributing members of society. The school has a second site at Bishop McDevitt High School in Wyncote (Montgomery County). 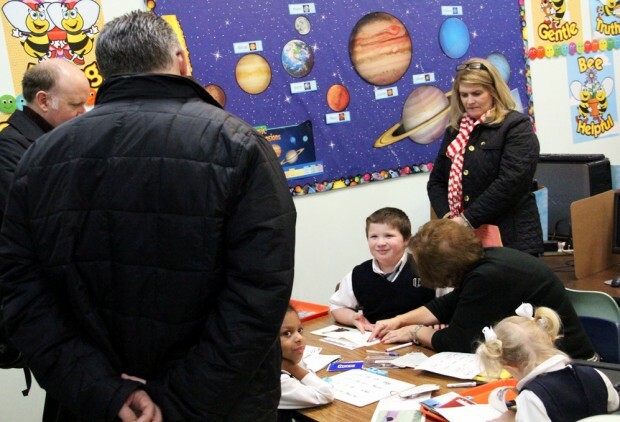 Our Lady of Confidence Day School is one of four schools of special education in the Archdiocese of Philadelphia, which is now managed and supported by the Faith in the Future Foundation. For more information about Our Lady of Confidence Day School please visit www.ourladyofconfidence.org. For more information about Faith in the Future, please visit www.faithinthefuture.com.